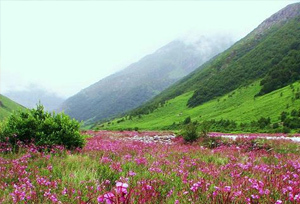 Valley of Flowers in Uttarakhand is a paradise for nature lovers and professional photographers. If witnessing different types of flowers and learning about them is what fascinates you the most, then nothing can be better than travelling to Uttarakhand’s Valley Of Flowers. Splashed with color hundreds of kinds of flowers, the valley is blessed with different flowers in different seasons. It offers a mesmerizing experience to the travelers from around the world. 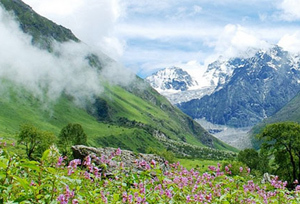 To help you in turning your dream of trekking in Valley of Flower in reality, we are here to help you. At Tour My India, we offer an exciting Valley of Flowers Tour package for all those who hold special interest of watching a variety of flowers and knowing about it in order to enhance their existing knowledge. We ensure to offer you a lifetime experience you have never felt before. Click endless in this natural paradise on earth and add on to your flower photo gallery. Meet our representative on arrival at Delhi Airport and transfer to the hotel. An overnight stay at the hotel. After breakfast, drive to Haridwar. On arrival at Haridwar, check into the hotel. In the evening, visit "Har Ki pauri" for Aarti ceremony. Later, return back to the hotel. An overnight stay at the hotel. 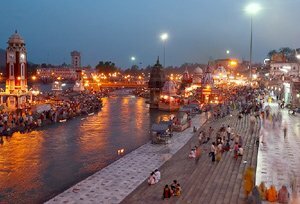 The holy city of Haridwar is home to some of the most sacred Hindu rituals. Round the year, devotees from all over the country flock here in their thousands to perform "Poojas" or prayers. Renowned for the "Maha Kumbh Mela", which appear every 12 years and the enchanting "Aarti" at "Har Ki Pauri", which captives the beholder with hundreds of burning wick lamps floating down the Ganges this town has been distinguished for centuries in the Indian society. After an early breakfast drive to Joshimath via Devprayag. On the way, visit Devprayag where Bhagirathi and Alaknanda rivers meet. From here, the holy river Ganges started. 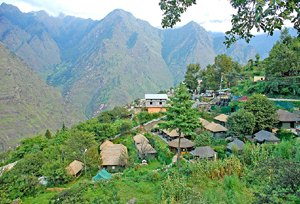 On arrival at Joshimath by evening, check into the hotel for an overnight stay. After an early breakfast drive to Govindghat, the starting point of the trek to Valley of Flower. From Govindghat there is a gradual ascent along a well maintained pilgrim trail to Ghangaria. On arrival at Ghangaria, check into hotel. Explore the surroundings in the evening by foot. Enjoy dinner and an overnight stay at the hotel. After breakfast trek to Valley Of Flowers (3858 m) from Ghangaria. The valley is an enchanting sight with an impressive array of rare wildflowers like Geranium, Marsh marigold, Primula, Potentilla, Geum, Asters, Lilium, Ranunculus, Corydalis, Inula, Brahma Kamal, Campanula, Pedicularis, Arisaema, Morina, Impatiens, Bistorta, Ligularia, Anaphalis, Saxifrages, Sibbaldia, Thermopsis, Trollius, Codonopsis, Dactylorhiza, Cypripedium, Strawberry, Epilobium, Rhododendrons and numerous others. Most of the flowers have medicinal values too. The valley is 10 kms long, 2 kms wide, and is divided by the Pushpawati stream, into which several tiny streams and waterfalls merge. After enjoying the beauty of valley trek come back to Ghangaria. Have dinner and an overnight stay at the hotel.